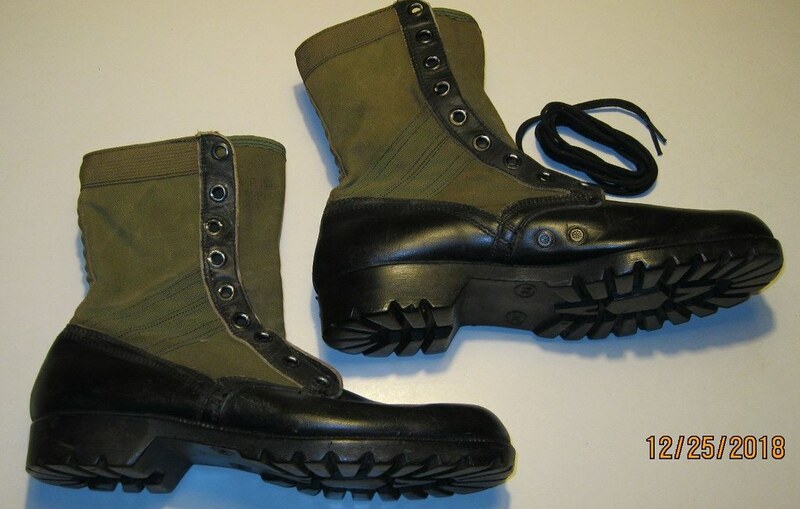 When this topic first popped up, I began a 3 year search for Repro boots with the Vabrim soles. Almost all the repros have the panama soles. Finally found these and keep them in a display with my gear (the ones I wear at events are real deal, because you know, actual comfort). I don't know if they are south korean, but I know it took a loooooonng time to find them. No marking or branding of any kind. Here the whole time I thought I had genuine boots, now I may have knock offs! Hmm, I'd not be surprised if it was a mix of genuine & repros across the squad ... all depends on what was available at the time. The wardrobe guys wouldn't have been too fussed (on this detail), I don't think. these have Vibram soles and are allegedly 1967 dated, are you saying the leather heel cup in the back is too curved?